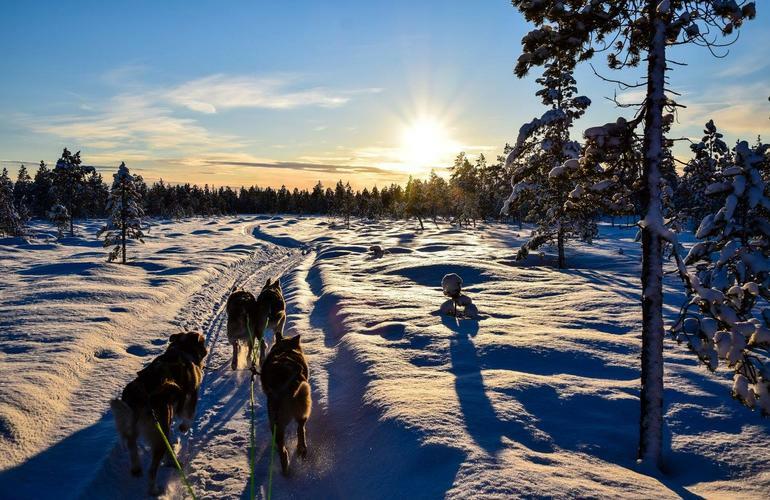 Looking for a thrilling activity in the wild Norwegian Finnmark region? 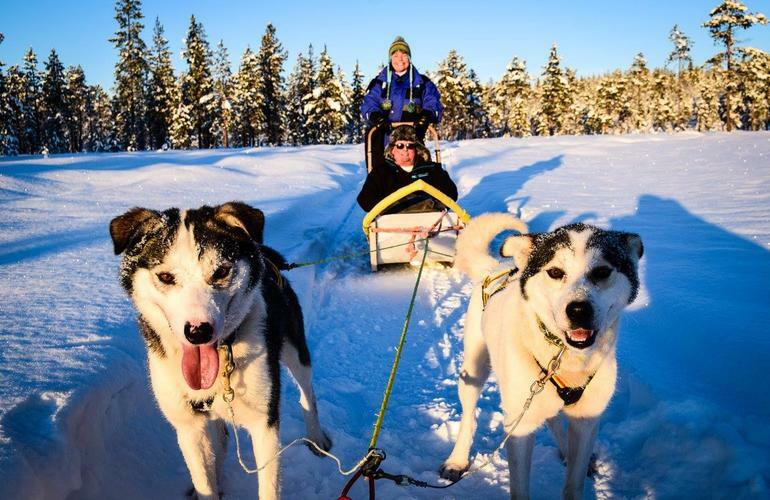 Then follow the Birk Husky family for an incredible mushing experience which will take you all the way along the Russian border! The adventure begins at the Kirkenes airport if you need to be picked up around 10 am. 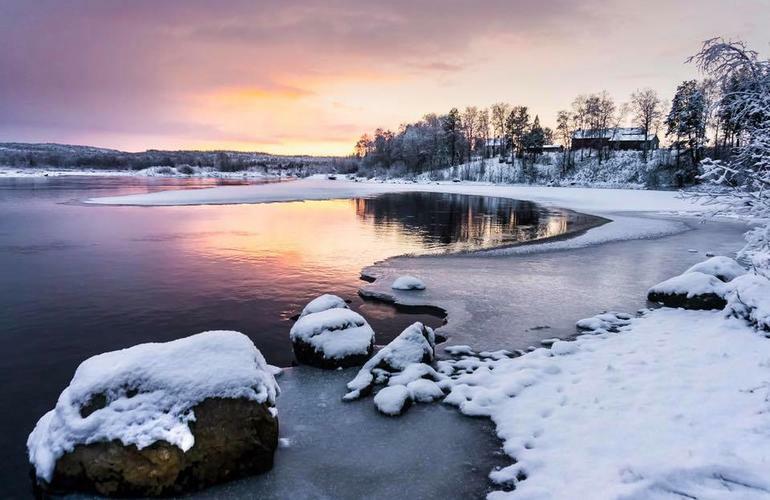 During the one hour transfer to the activity location, your guide will show you around Pasvikdalen, you will get to know a bit about the valley, the way of living and get to understand how it is to live in Pasvikdalen which is home for Norway's largest population of brown bears. Once you arrive, you'll go directly to the mainhouse and dress up to meet the dogs! 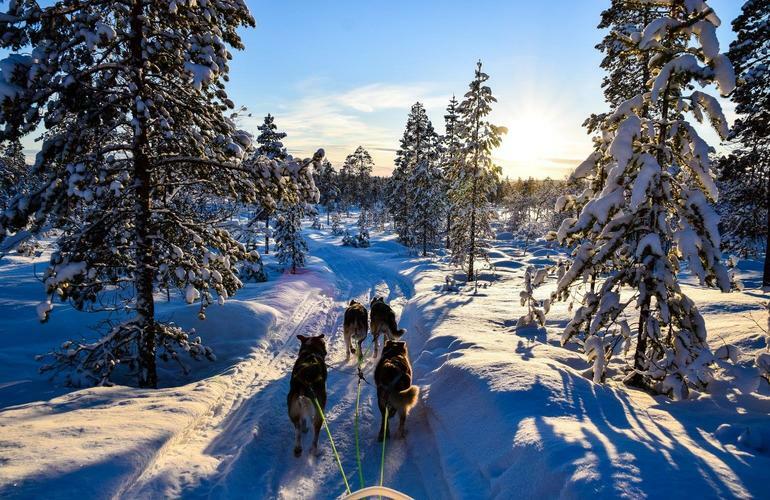 When you're ready and you've learned the basics of mushing, you'll set off for an excursion along the Norwegian-Russian border and into the Pasvik forest. 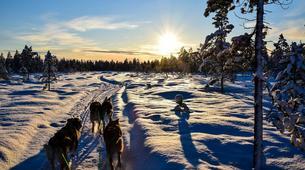 During or after the outing you will have lunch together around an open fire. 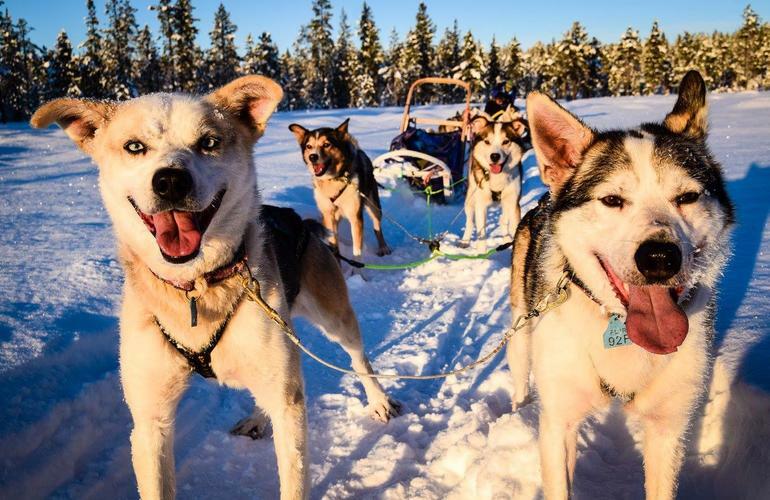 All the participants over the age of 16 can take turns driving the sled. You'll just have to follow your expert guide along the itinerary that was decided. 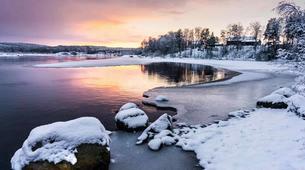 If you want to experience the real norwegian arctic winter with traditional food (reindeer, king crab, moose, pike, etc. 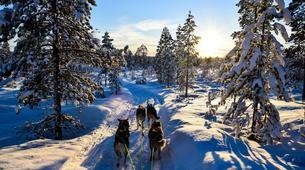 ), a beautiful scenery and a bunch of lovely alaskan huskies with a touch of the sami culture, then this is the place to be! 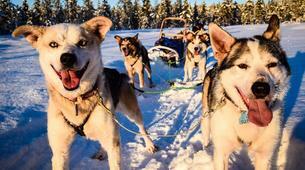 You will be 2 on each sled and participants over 16 can take turn driving. 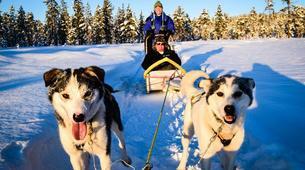 The total mushing excursion can be 10 to 30 kilometres long depending on the conditions and sports level of the group. This activity is not recommended for people with back or walking problems. 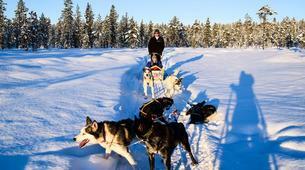 This trip has some elements of risk since you operate in an arctic climate involving living animals. 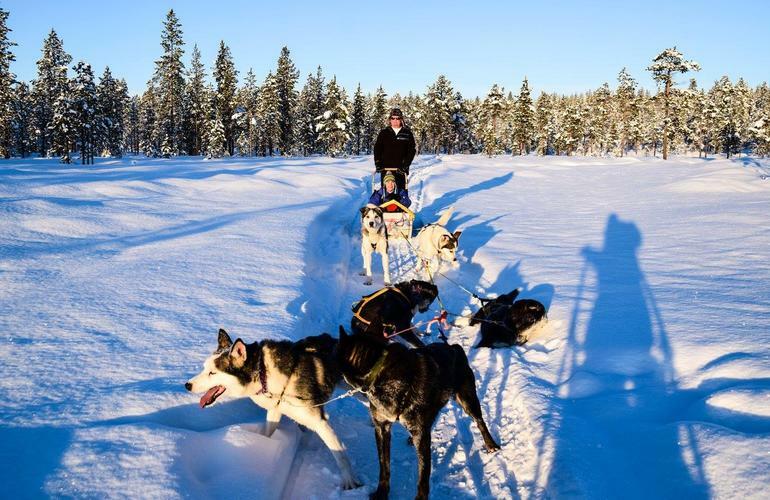 Please be sure that your travel insurance will covers this activity. You will have to sign a form declaring that you are aware of this condition.